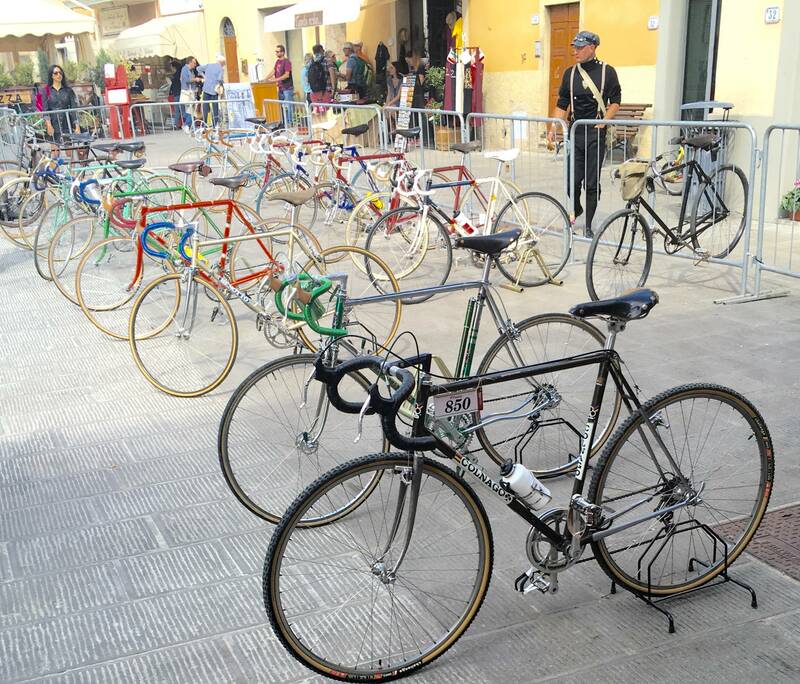 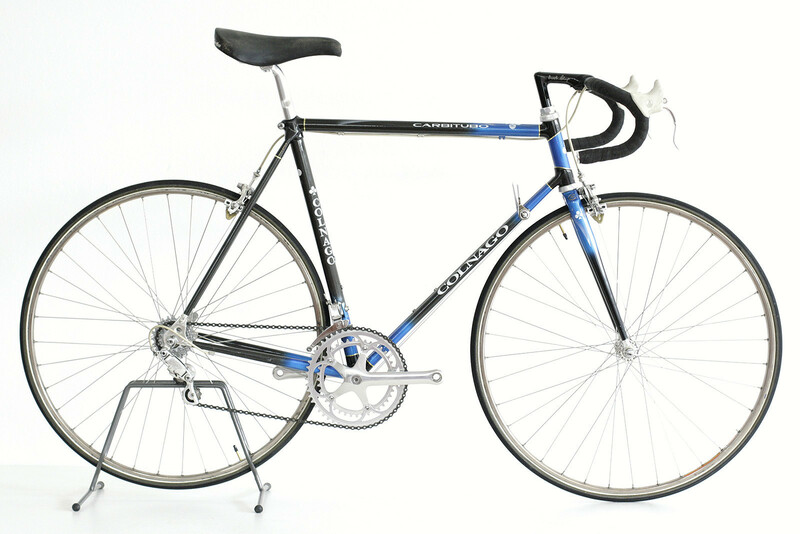 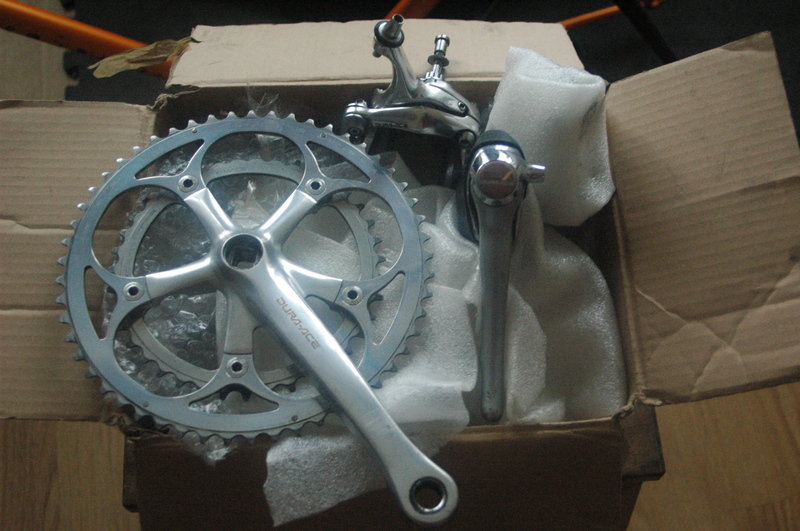 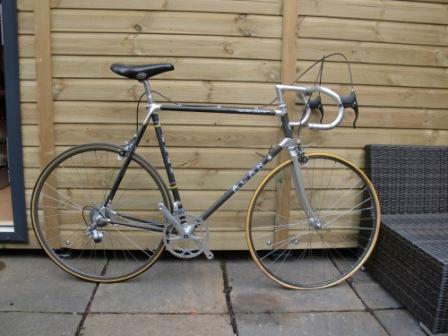 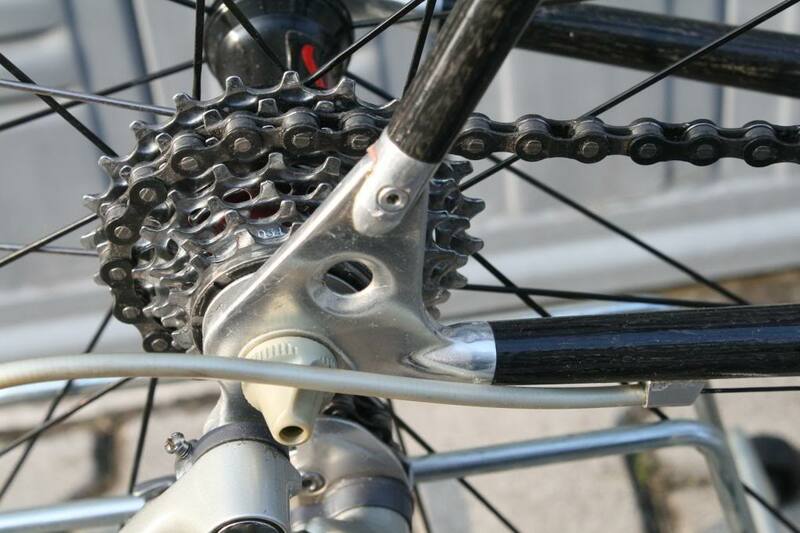 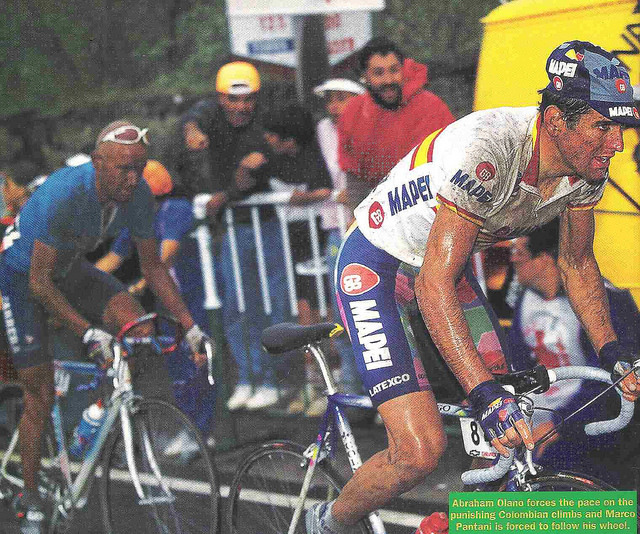 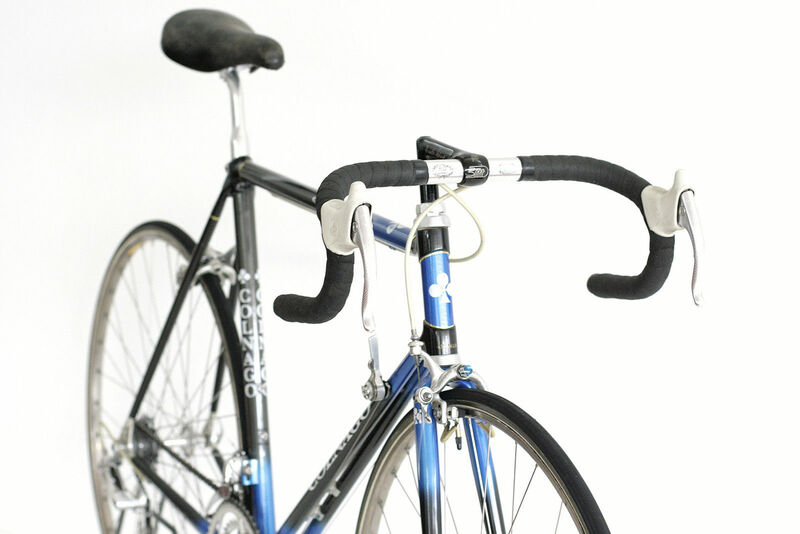 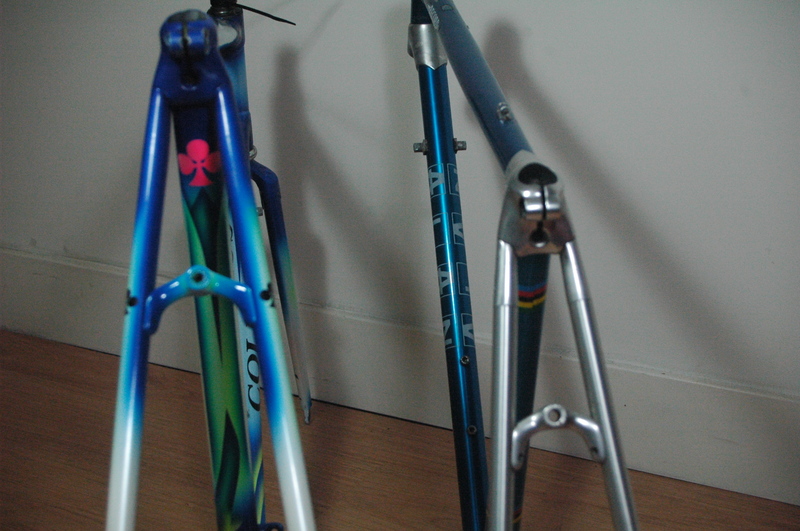 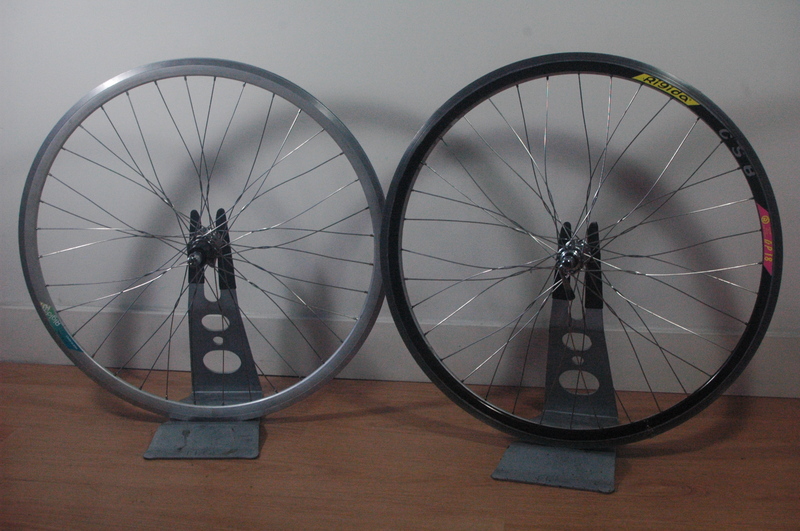 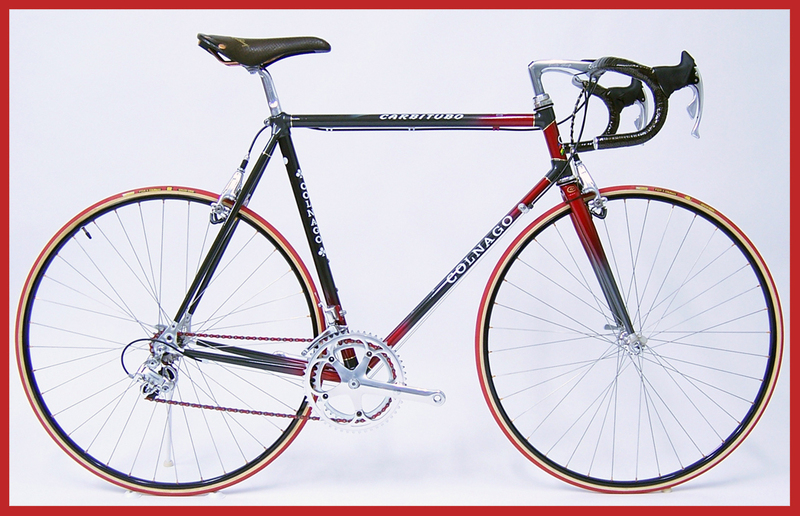 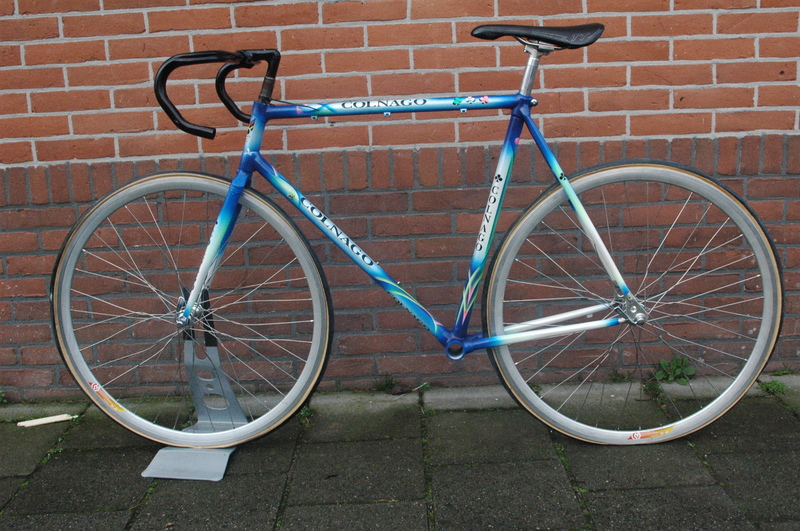 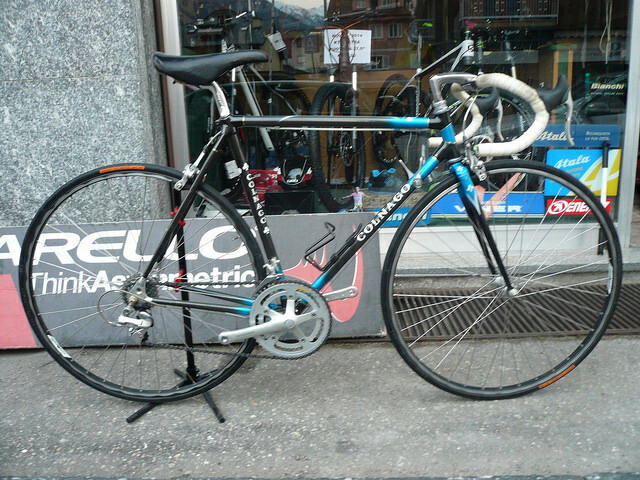 just like the Colnago Dual and Carbitubo..
and I changed the rims for silver ones.. 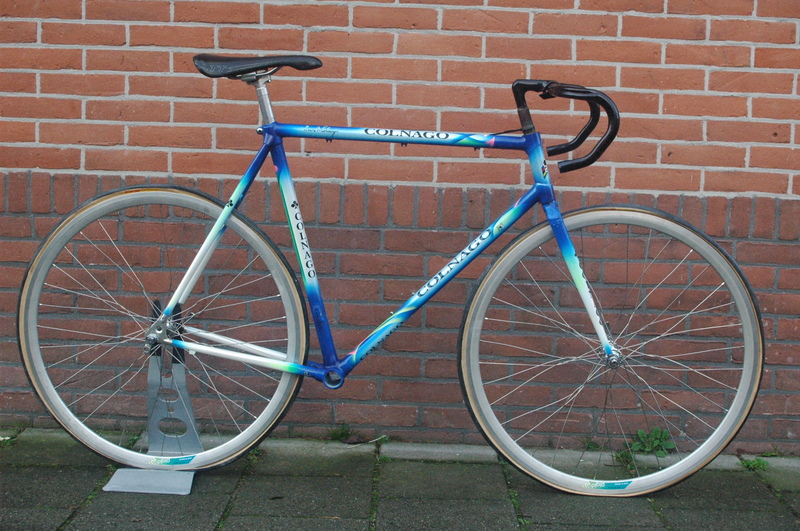 I just need to get a headset , and this one’s finished build wise, I still would like to find out what model, a Carbunitubo? 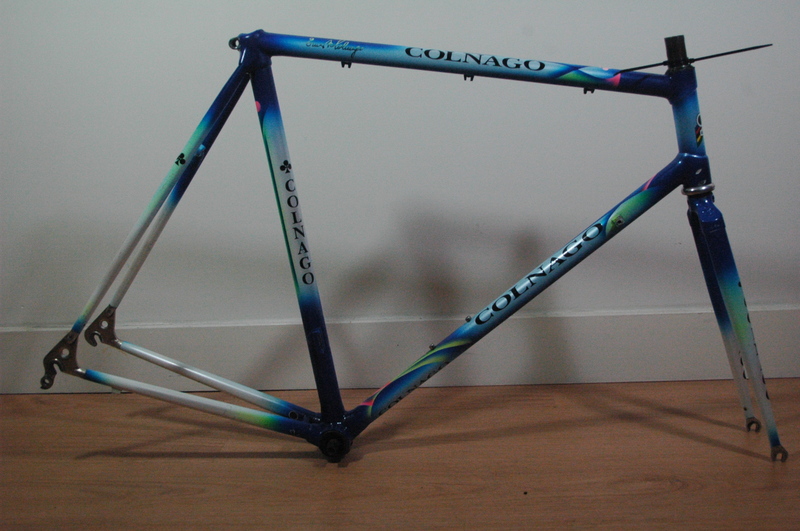 Here’s a mock-up to give perspective..
now the frame has been compared to the Alan Carbonio, but you can see the top tube cable guides on the Alan are in a different place..
and here’s a Colnago Dual cycloross, with a headtube stamp in the same location..
so I’d say we can assume it is a Colnago, made by Alan. 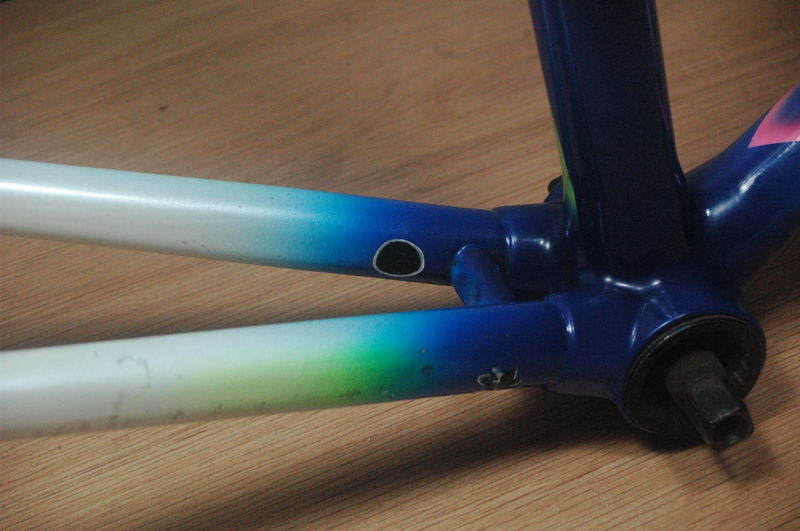 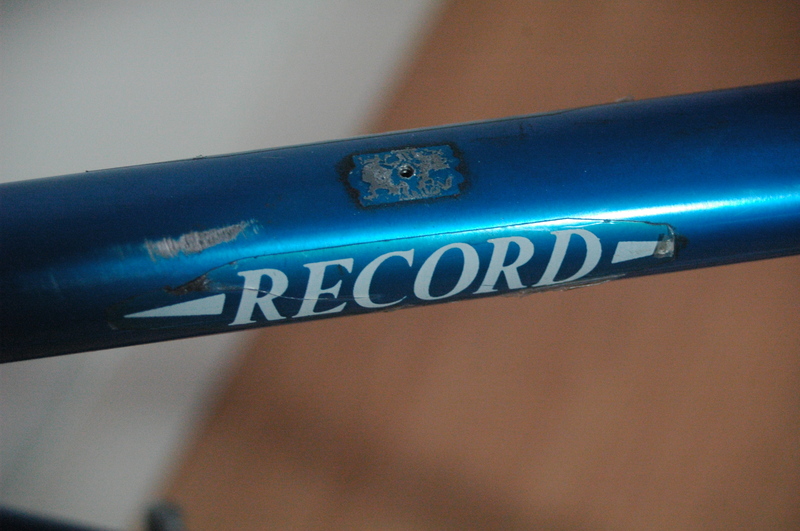 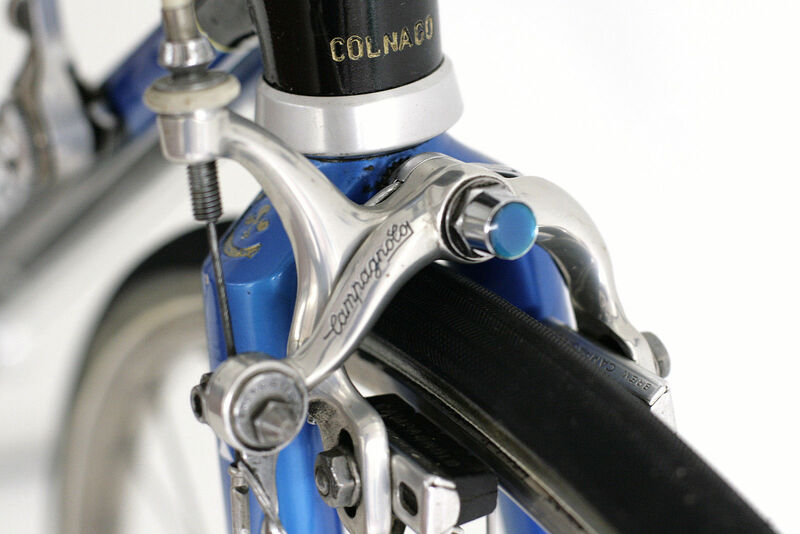 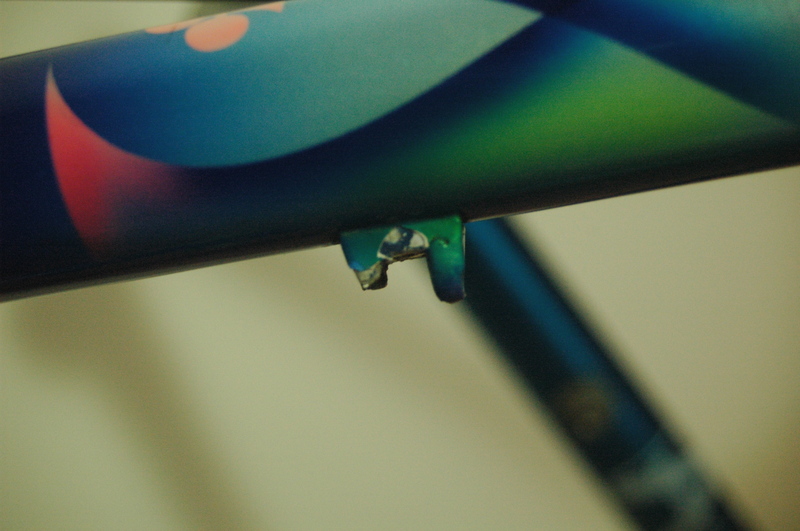 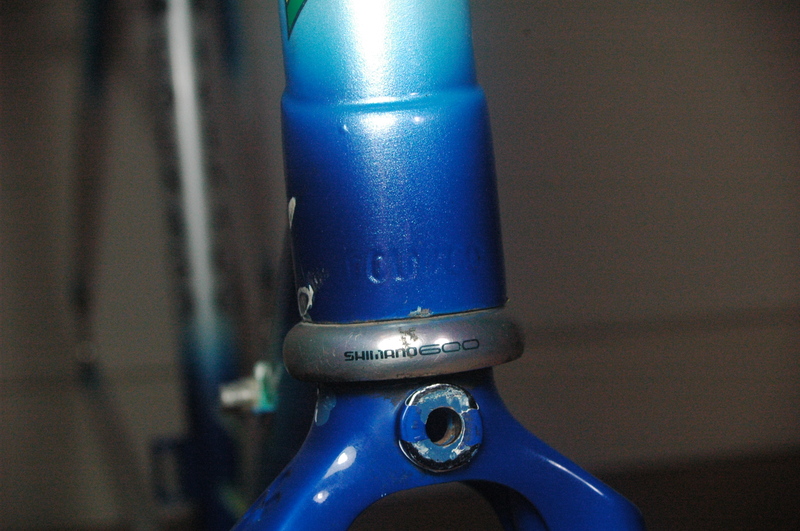 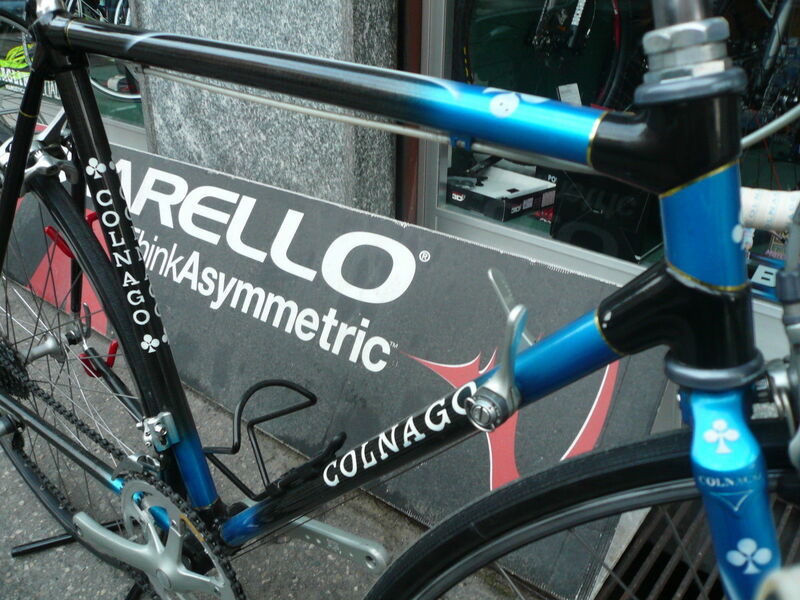 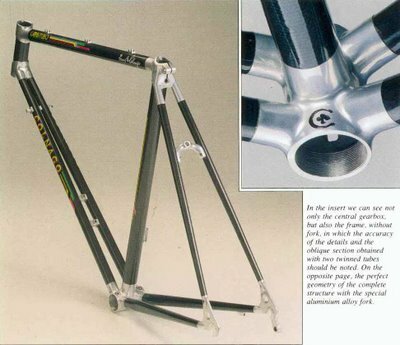 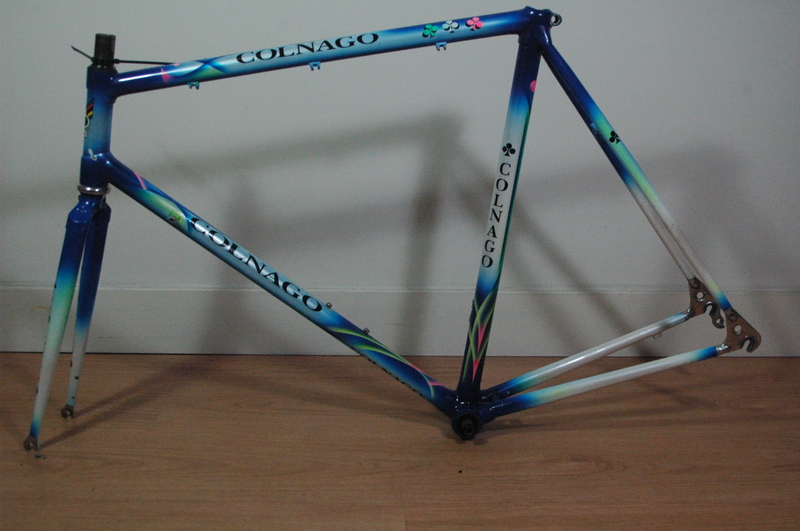 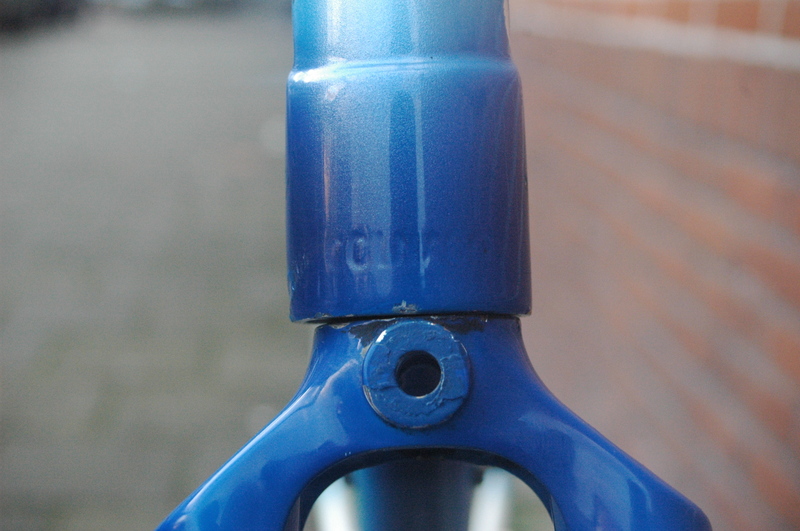 and the Colnago head tube stamp..
and here is a frame set in the same decor, but with one downtube..